On May 31, 2016 the DM 16 February 2016 entered into forcerelating to the Heating Statement 2.0. Closed the public consultation phase, you start the publication in the Official Gazette, after consultation with the Unified State-Regions Conference, the text of the decree on the new Heat Statement 2016 to which there are some interesting changes both in the audience of facilitated interventions both to streamline the paperwork necessary to submit the application. On this last point, for example, the draft of the decree requires the manager of energy services to prepare a list of products and technology solutions (heat output up to 35 kW and 50 square meters for thermal solar panels), the adoption of which will entitle to an almost automatic recognition of incentives. Confirmed the incentives in the new Heating Statement 2016 (up to 40% of expenditure) for heat insulation measures of the opaque surface delimiting an air volume, the replacement of transparent closures (including fixtures), the replacement of winter heating systems with of condensation heat generators, the electric and gas heat pumps, geothermal plants and biomass, the installation of solar thermal collectors for the production of ACS, the substitution of electric water heaters with those in the heat pump and the installation of shielding systems and shading of transparent closures. 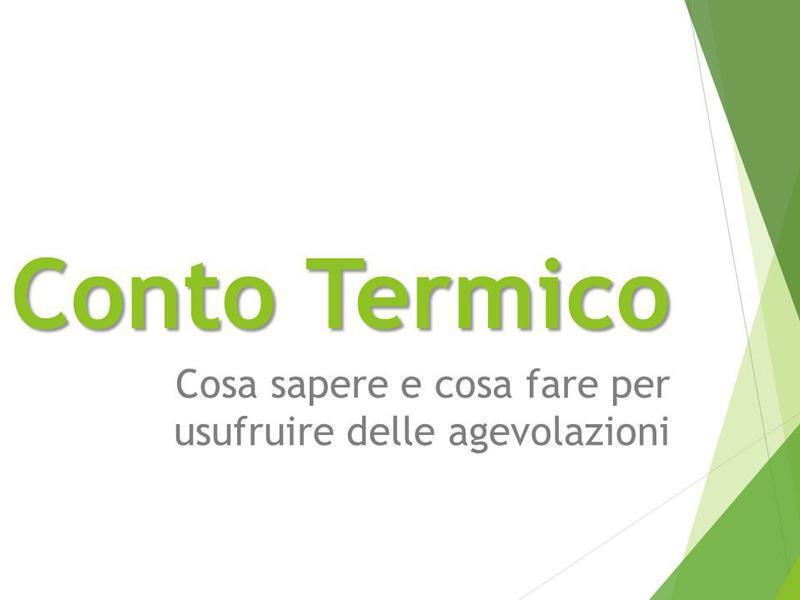 All such interventions, the draft of the new text for the Heating Statement 2016 provides incentives, up to 65% of the expenses incurred, even for works that transform a building in NZEB building (nearly zero energy), for replacement of lighting systems with energy-efficient systems and, finally, for the installation of home automation systems (building automation) for savings and energy efficiency. In the river of the subsidisable expenses also all those, so to speak, "of service": so-refundable (100% for the government and 50% for companies and private) costs for the job to a professional technician for the preparation of energy audit and of the energy performance, both prodromal for the transformation of a fabbrico in a NZEB building. The funds made available for the start of the new Heating Statement 2016 amounted to € 900 million divided into 700 million for the government and 200 million for the private sector (businesses and individuals). The incentives will be granted, depending on the type of intervention, in a variable period of time between 2 and 5 years. 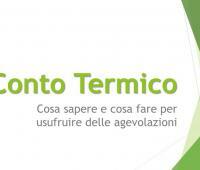 In the GSE page dedicated to the Heating Statement 2.0, help is available using the application web "Portaltermico", updated on the basis of DM 16 February 2016 entered into force. GSE recalls that the Guide provides all the operating instructions for the use of the new Portaltermico, the purpose of the incentive required, operating "limited to requests for direct access, whereas for instances with access to reservations, the portal's functions They will be activated later, after informing on the site." For more information, please visit the website www.gse.it.